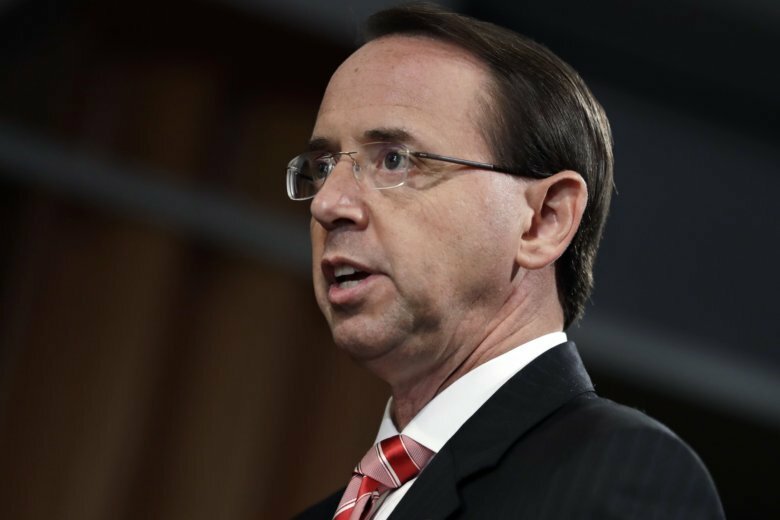 The Justice Department announced charges Friday against 12 Russian intelligence officers for hacking offenses during the 2016 presidential election. WASHINGTON (AP) — Twelve Russian military intelligence officers hacked into the Clinton presidential campaign and the Democratic Party and released tens of thousands of private communications in a sweeping conspiracy by the Kremlin to meddle in the 2016 U.S. election, according to an indictment announced days before President Donald Trump’s summit with Russian President Vladimir Putin. The indictment represents special counsel Robert Mueller’s first charges against Russian government officials for interfering in American politics, an effort U.S. intelligence agencies say was aimed at helping the Trump campaign and harming his Democratic opponent, Hillary Clinton. The case follows a separate indictment that accused Russians of using social media to sow discord among American voters. It was unclear whether the indictment might factor into Trump’s meeting with Putin on Monday.